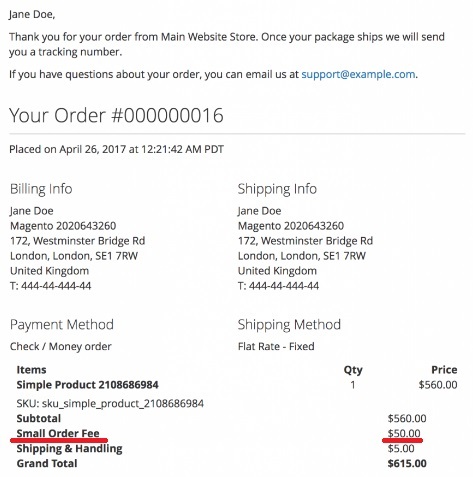 The Fooman Small Order Fee Magento 2 module is similar to the company’s Payment Surcharge extension. It also allows to add flat and percentage fees, but this time when order subtotal is lower than a specified minimum. As a result, you recover costs without increasing prices. Below, we shed light on the extension’s features and functionality. Some companies set a minimum order total amount to motivate customers to purchase more. If order total is lower than this mark, the order cannot be placed. This approach may be quite effective, but we know something that is much better. You don’t need to set any limits that lead to limitations. Instead, you can still use a minimum order total amount, but for charging a fee. In other words, if your customers want to purchase an item that is below the limit, they spend additional money paying a small order fee. 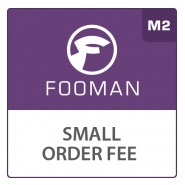 The Fooman Small Order Fee Magento 2 extension shows surcharge details almost everywhere. 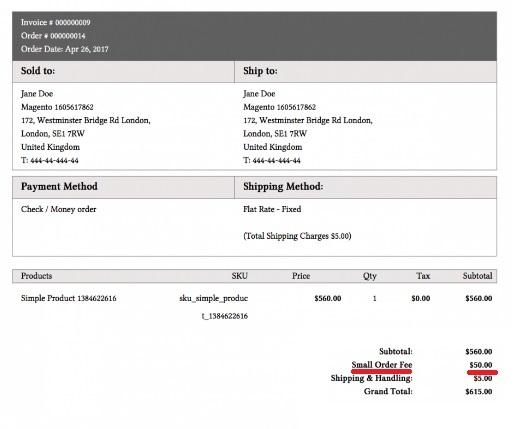 Your buyers will see information about the fee on checkout and print order pages, in a customer account, in sales emails and various documents, etc. As for calculation options, there are two core types and their combinations. You can apply either flat rate or percentage fee. Besides, two their combinations are possible: fixed fee and percent are applied together or the highest one is charged. Besides, you can set different fees for different store views. 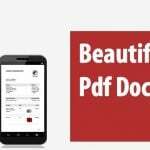 You can get such surcharge details as ID, status, type, description, store view, time of creation, and time of modification. While adding a surcharge, configure some general parameters: type a description, change status to ‘Active’, and select a store view. Next, specify minimum order amount to apply – all orders with subtotal that is less that the specified value, will be surcharged. Select a calculation mode. As mentioned above, you can choose one of 4 types: fixed, percent, fixed + percent, and maximum of fixed and percent. Then, specify surcharge percent and fixed value. Don’t forget to save the surcharge.